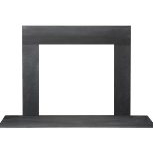 Frame new flames and draw attention to any new or existing fireplace with mantels and surrounds from Heatilator. Whether you are looking for a minimal, clean finish or an ornate wooden design, Heatilator has the options to let you personalize your fireplace to fit your home’s design and your family’s lifestyle. Accent your Heatilator fireplace with the refined look of a wood or stone mantel. 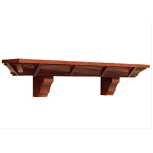 Achieve a warm, comfortable atmosphere with a stylish appearance to go along with it. 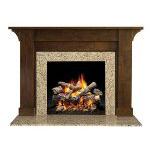 Heatilator stone surround sets are the perfect design element to complement any fireplace. Available in granite, marble and slate, these fireplace surround sets feature elegance and quality.